Dan Harmon, the creator of Community and co-creator of Rick And Morty, said yesterday that one of his shorter-lived (but no less wonderful) creations may soon be revived. Answering questions in a Reddit Ask Me Anything thread, Harmon said that Heat Vision And Jack is in development as an animated series along the lines of Bob’s Burgers—as far as he knows. 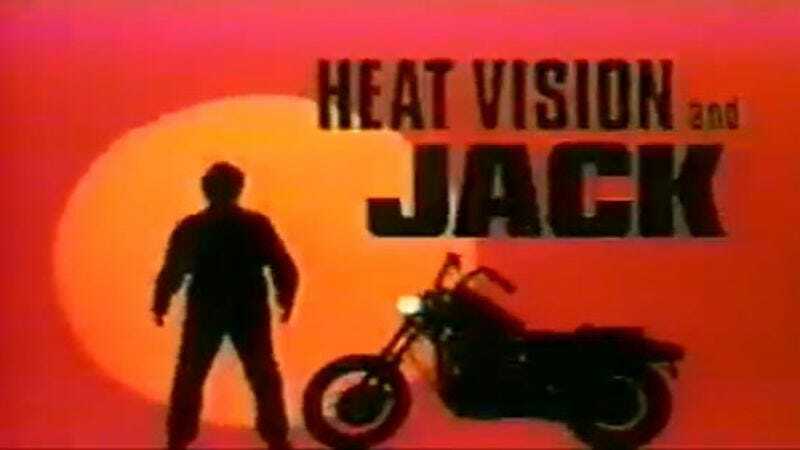 If you’re not familiar with it, Heat Vision And Jack was a parody of Knight Rider-type ’80s action shows, starring Jack Black as a former astronaut with superhuman intelligence and Owen Wilson as a talking motorcycle inhabited by the soul of Black’s unemployed roommate. Harmon wrote and executive-produced the show (with Rob Schrab), and Ben Stiller directed the pilot, but in spite of this gathering of talent, Fox passed on the series. The preservation of the rejected 1999 pilot is the Internet’s greatest accomplishment to date, superior even to the feature on pizzahut.com where you choose different toppings for either side of your pizza. They’re trying to develop a Heat Vision and Jack cartoon right now, I believe…Schrab and I kind of “sold” the idea to a studio but after a while, we backed out of it creatively and they hired writers to take it over, because it felt like they wanted Bob’s Burgers but with a motorcycle. […] So Schrab and I, who have lots of stuff to work on, came to the conclusion that a good version of Heat Vision and Jack might actually be in the “Eagleheart” vein at Adult Swim, something relatively low-budget but allowed to be its own thing tonally. I don’t think we could expect Jack Black and Owen Wilson to line up for that gig but I think they have better things to do, too, and I think doing Heat Vision and Jack as a brand new live action series that recalls the epic TV from my childhood…that’s the way to do it without wasting the idea on something that may as well be anything else.